Though the desecration of the American flag has (sadly) been in the news as of late, there are many who still hold it in high regard. Republican Florida Governor Rick Scott is such a man and has shown his respect for America and her flag by mandating that Florida government buildings will only fly Old Glorys that have been made in America. As TRN has reported, radical activists have flocked to social media to desecrate the symbol that so many have died to uphold. Americans are yearning for those who respect Old Glory to show leadership and defend her. The Sunshine State just put a law into place banning the use of American flags from other countries (China) by any agency of the state government. 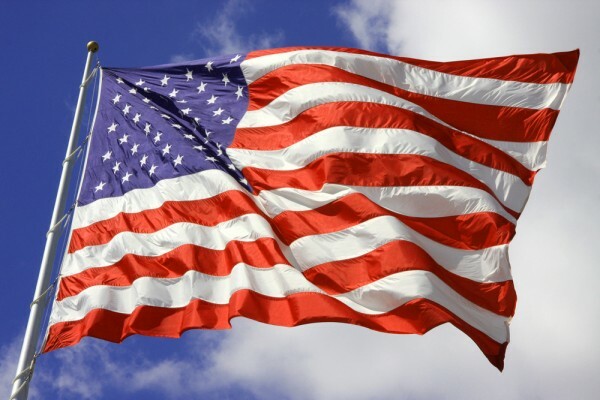 As recent as 2013, nearly 94% of manufactured American flags were not being made in America. Florida Governor, Rick Scott, signed the “All-American Flag Act” into law. That’s patriotism right there. Now, the revenue lost from this foreign manufacturing only came out to be around $3.5 million, but I think this is more an issue of principle. Old Glory shouldn’t be made by a bunch of communists, but that’s just one man’s opinion. Wow. Federal lawmakers can learn a thing or two by Gov. Scott’s example. Let’s peer-pressure the rest of the governors and federal lawmakers into mandating similar provisions.